Terise Slotkin, Times Square Show, 1980, vintage black and white fiber print from silver gelatin negative, 8 x 10 in (20.3 x 25.4 cm). Photo by Terise Slotkin. 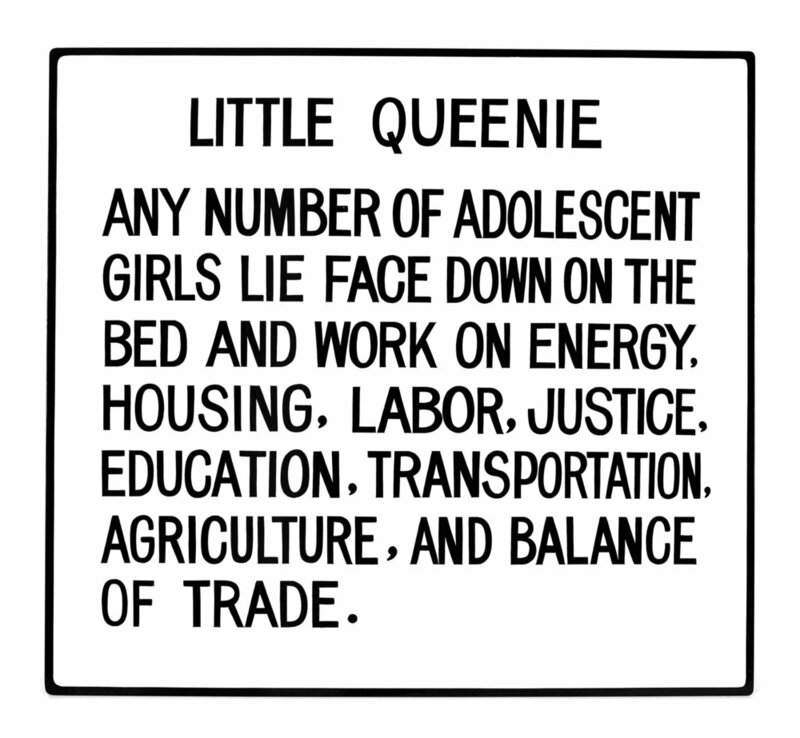 Jenny Holzer, Living: Little Queenie…, 1981. Hand-painted enamel on metal sign, 21 x 23 in (53.3 x 58.4 cm) Text: Living, 1980–82. © 1981 Jenny Holzer, member Artists Rights Society (ARS), NY. John Ahearn, Green Robert, 1979, acrylic on plaster, 16 x 17 x 9 in (40.6 x 43.2 x 22.9 cm). Photo by Louis Chan. 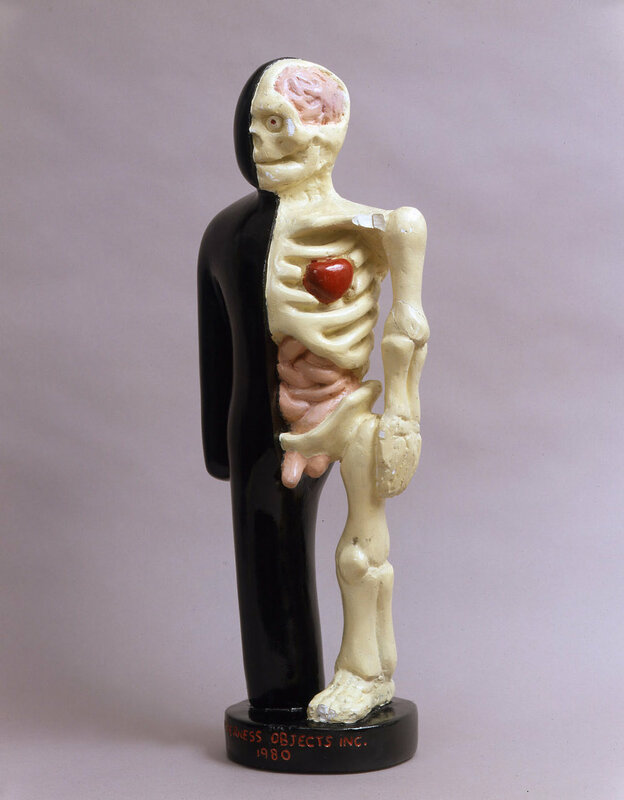 Tom Otterness, Symbolic Anatomy, 1980. Painted plaster, 22 x 9 x 6 in (55.9 x 22.9 x 15.2 cm). Photo by James Dee. The Hunter College Art Galleries are pleased to present Times Square Show Revisited, an in-depth look at the original Times Square Show, on view from September 14–December 8, 2012. Times Square Show Revisited is the first focused assessment of the landmark 1980 exhibition organized by the artist group Collaborative Projects, Inc. 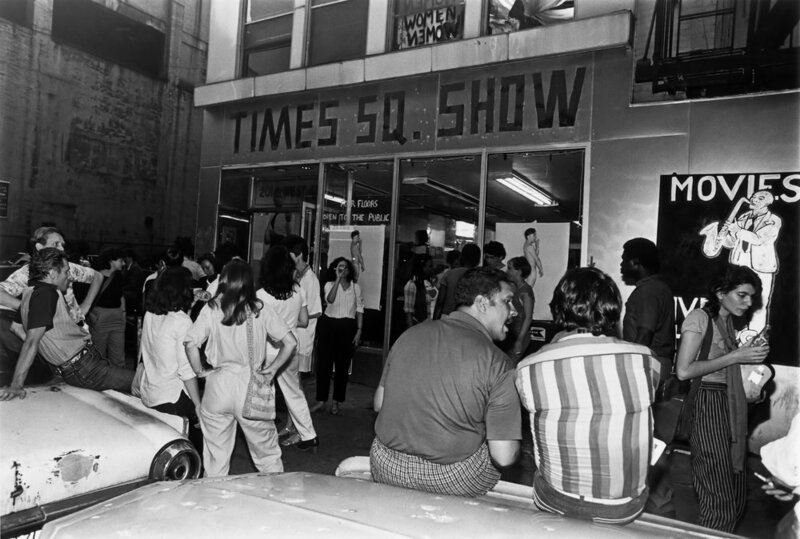 The Times Square Show, hailed by the Village Voice as “The First Radical Art Show of the ‘80s,” included some one hundred artists and sprawled across four floors and the basement of a disused massage parlor on the corner of 41st Street and 7th Avenue in New York City. 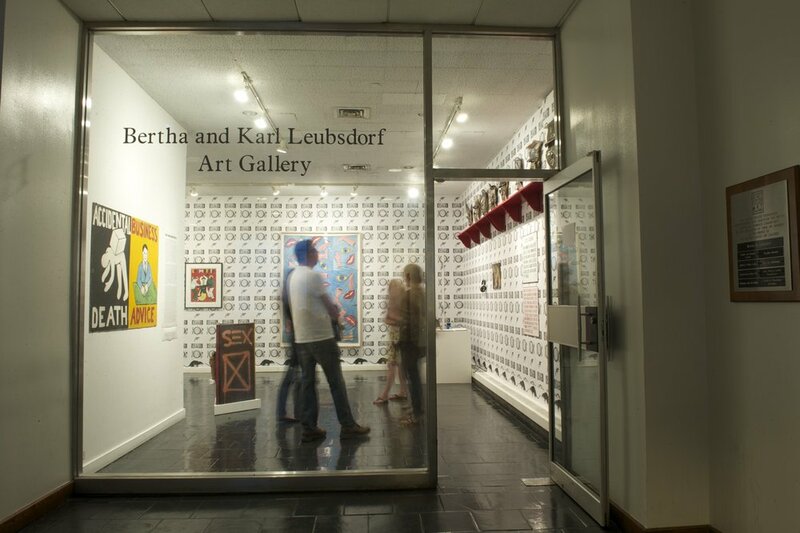 In addition to experimental painting and sculpture, the exhibition incorporated music, fashion, and an ambitious program of performance and video. For many artists, such as Kiki Smith, Jenny Holzer, and Tom Otterness, the exhibition served as a forum for the exchange of ideas, a testing-ground for work in progress, and a catalyst for exploring new artistic directions. With contributions from over 40 artists of the more than 100 originally participating, Times Square Show Revisited reflects the spirit of the original with a mix of extant sculpture, painting, and video—most of which has not been on public view since 1980. The show features rarely-seen photography, archival material, and ephemera documenting the crucial role of performance, fashion, and music at the Times Square Show. A partial list of artists represented in Times Square Show Revisited includes Charlie Ahearn, John Ahearn, Jules Allen, Beth B, Scott B, Jean-Michel Basquiat, Marc Blane, Caterina Borelli, Andrea Callard, Eva DeCarlo, Jane Dickson, Coleen Fitzgibbon, Bobby G, Matthew Geller, Mike Glier, Ilona Granet, Mimi Gross, Keith Haring, Julie Harrison, Jenny Holzer, Becky Howland, Francene Keery, Justen Ladda, Aline Mare, Alan Moore, Tom Otterness, Cara Perlman, Judy Rifka, Walter Robinson, Christy Rupp, Kenny Scharf, Terise Slotkin, Jane Sherry, Jack Smith, Kiki Smith, Wolfgang Staehle, Kathleen Thomas, Diane Torr, Rigoberto Torres, and Robin Winters. Times Square Show Revisited is made possible through the generous support of Diane and Arthur Abbey, Richard Anderman, The Bershad Exhibitions Fund, Hester Diamond, Barbara Grodd, Keith Haring Foundation Inc., Nancy Kuhn and Bernard Nussbaum, Tony Shafrazi, the Solo Foundation, Sunberry’s Café, and an anonymous donor.